người hâm mộ lựa chọn: All of them! 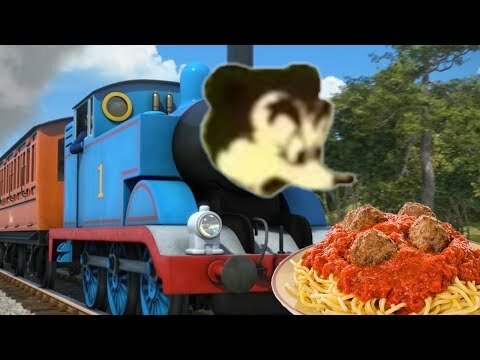 Do bạn like Thomas and Gordon? Who do bạn think Edward's bestfriend could be?? Who voice Thomas in the UK in 2015? 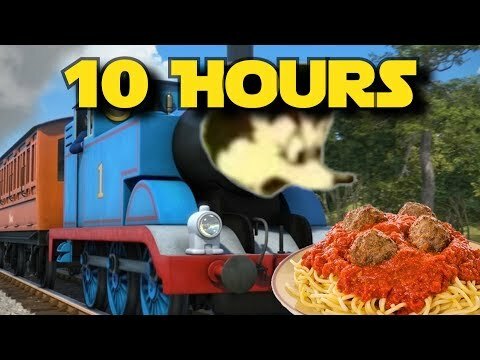 Why was the Thomas and The Magic Railroad movie so hated? I have a Thomas the Tank Engine bàn I bought for my son about 20 years ago. Looking to sell it with the tracks. How much do bạn think it is worth to sell? Narrator: Trainz, was. Filmed on location, before a. Live studio audience. Narrator: Which will prove to be.....Very.....Annoying. Narrator: Our story begins, on the. Hunterdon Central. Jeremy, is. Pulling. A freight train. Jeremy: All the cars for Andrew's train are here. Narrator: Finally! Trainz was filmed in high definition before a live studio audience. 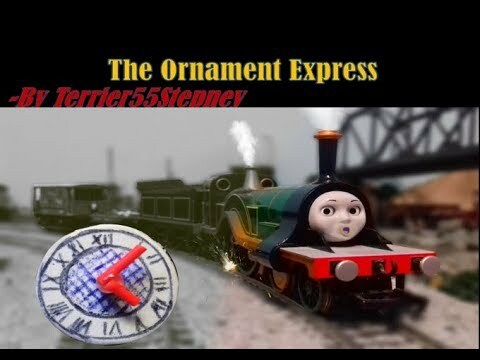 Sean: *Going backwards as he pushes his passenger train into a siding* This episode is going to be a long one. Narrator: I don't want to be the narrator. Cameraman: Too bad. Do it! Narrator: Why?!?!?! *Sighs* Trainz was filmed in High Definition before a Live Studio audience. bạn happy? Cameraman: You're not finished yet. bạn still have a lot of lines in your script. Yard Master: Come back! bạn forgot your train! Cameraman: If I hide somewhere, will that work? Narrator: Trainz was filmed in High Definition before a live studio audience. Can I get an original opening please?! Zack: Really? That was quick. Man: Yep. bạn did a good job Zack. I'm so glad I got bạn helping us out. Zack: Me too. *Watching the man walk away, then sighs* I wish there was thêm for me to do. Mom: Hey, look at that tractor. Boy: It's my yêu thích color. Narrator: Trainz was filmed in high definition before a live studio audience. Leon: *In the yards with the other ngẫu nhiên D&H Alco PA's* What should we do before the opening credits begin this time? Sebastian: Perhaps it's going to focus on the four of us. Xavier: This is what I like about our job. If we don't come up with a good idea for this episode, we can use it for the tiếp theo one. Narrator: Wait a second. I don't remember hiring bạn four to write the opening scene. Hatti: Kaela, that's my train. Aren't bạn supposed to have the ngày off? Hatti: Did someone make fun of you? Jack: *Sighs* Why do I have to keep saying this? Jack: Trainz was filmed in High Definition before a live studio audience. Sean: xin chào Grayback. What are bạn doing for Thanksgiving? Grayback: I thought bạn were going on vacation to St. Louis. Sean: Oh, that was in an episode that took place in the future. Sean: We're back in the present now, so everything is okay. A lot of neat info about Thomas the Tank engine. After PBS' contract for the series ended on 31 December 2017, Mattel announced that Nick Jr. will be the new US trang chủ for Thomas & Những người bạn beginning March 12th, 2018 with an airing of The Adventure Begins. I got con vịt, vịt the Great Western Engine. Thomas and Những người bạn will no longer be on public ti vi in the US. "After PBS' contract for the series ended on 31 December 2017, Mattel announced that Nick Jr. will be the new US trang chủ for Thomas & Những người bạn beginning March 12th, 2018 with an airing of The Adventure Begins. Nickelodeon will also be the exclusive consumer products licenser for the US." What was con vịt, vịt and Percy's plan to keep the big trains from ordering them around? They wait on the turn bàn and demand fairness. Find a bigger train to sort them out. Is Lady really Lively Polly?